Unasho is at 8F Yodobashi-Akihabara, originally uploaded by Camemberu. We skipped Ginza completely and headed to Akihabara, where there were two places I wanted to try at the new Yodobashi-AKiba mall. 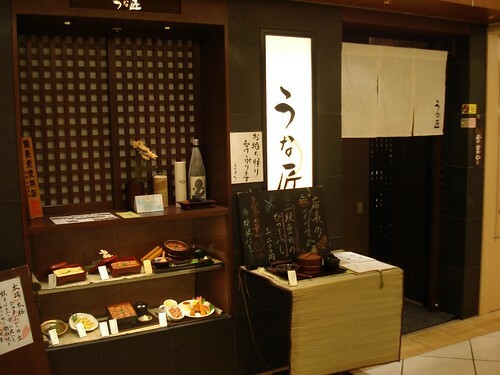 The first was Unasho, an unagi specialist. Hitsumabushi set (¥2,200), originally uploaded by Camemberu. This is the lunch I really came for. Hitsumabushi! One dish, and three ways of enjoying it. Beautiful, glistening eel roasted to perfection, arrived with condiments and hot dashi. 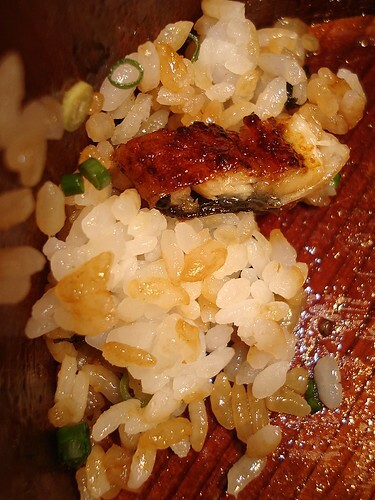 The first step is to portion out a quarter of the eel with rice and eat as it is. Second step: add laver, spring onions and wasabi and eat!, originally uploaded by Camemberu. 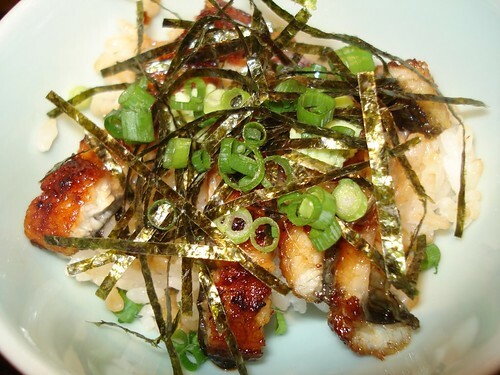 Then you eat the second portion with the dry seasoning items - nori (seaweed), spring onions and wasabi. Oh delicious! 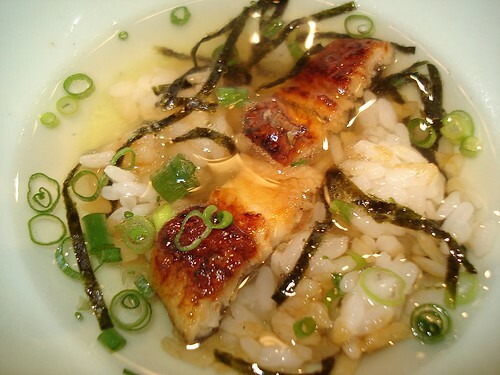 Third step: add hot dashi stock and enjoy as an ochazuke, originally uploaded by Camemberu. The third portion you literally create a "tea porridge" - ochazuke. Pour hot dashi stock onto the rice and toppings. Slurp away! The fourth and last quarter - you can eat as you like or come up with your own combination. Good to the last bite!, originally uploaded by Camemberu. They really use quality ingredients, right down to the rice and spring onions. This is easily the best unagi I've ever tasted. It's not gooey and sticky like some places that overdo the sauce. 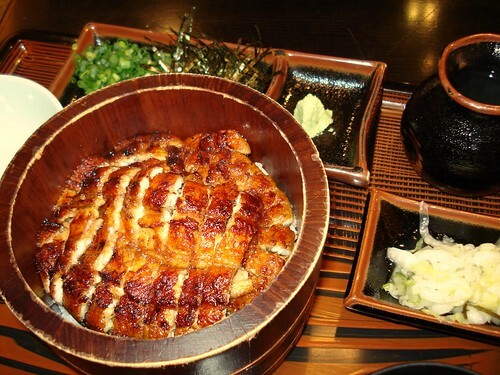 Well-roasted and caramelised on top, full of umami goodness, the eel flesh is tender and sweet. I gave Nadine her first taste of this, and she loved it!